Britain is still reeling from the allegations that surfaced about the university antics of its prime minister, David Cameron. The claims, made in a forthcoming unauthorised biography of the PM, are the work of Conservative peer Michael Ashcroft and journalist Isabel Oakeshott. Ashcroft has said he has a “beef” with Cameron, after being passed over for a cabinet position, but he denies the book is his form of revenge. So who is this troublesome Lord? And why do his claims hold so much sway? Ashcroft is not just some rich guy who has it in for David Cameron. He has a long history in the Conservative Party and can claim, with some justification, to have had a significant influence on the direction it has taken for more than two decades. Ashcroft, like many self-made business people, was an enthusiastic supporter of Margaret Thatcher – so enthusiastic that when she was eventually cast aside by her parliamentary colleagues in 1990, he was among a number of Tory donors who expressed their dismay by threatening to withdraw their financial backing. By 1998, however, he had been persuaded back into the fold. William Hague, a creation of Thatcher if ever there was one, had been elected leader of the Conservative Party after its catastrophic defeat to Tony Blair’s New Labour a year earlier. After the slow-motion car crash the party suffered between 1992 and 1997, the party’s organisational and financial position was almost as dire as its electoral position, and it was crying out for help. Ashcroft answered the call by becoming party treasurer – a traditionally thankless task which involved him having to drum up cash, through loans or gifts, in order to make up for years during which the Tories had lived well beyond their means. As part of the Hague regime, however, Ashcroft was seen as fair game by those in the media who were, to say the least, unimpressed by the new leader and some of the company he kept. 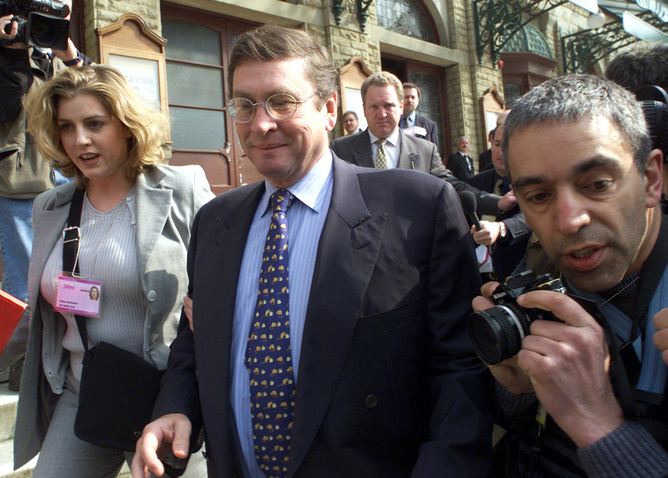 The autumn of 1999 saw The Times launch a blistering attack on Ashcroft, his business dealings in Belize and his political influence. 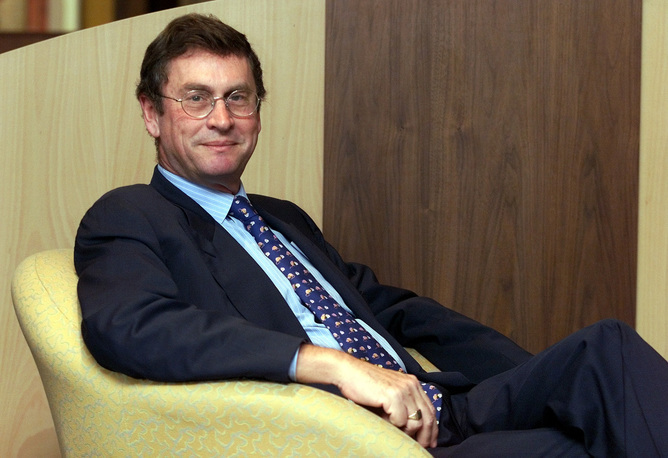 Ashcroft, as he details in his eye-opening first book, Dirty Politics, Dirty Times, fought back through the courts and was awarded a peerage in the spring of 2000 – an appointment that provided yet more ammunition to those who argue that there is a long-established connection between giving money to political parties and eventual elevation to the Lords. 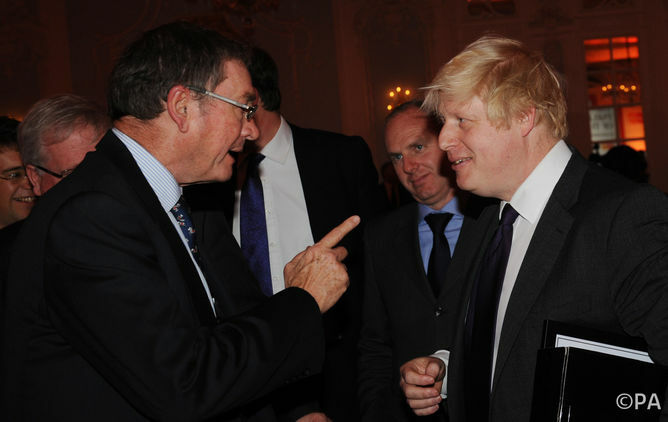 As treasurer, Ashcroft’s parting gift to Hague was the securing of an enormous one-off donation of £5m to the Conservatives by oil tycoon John-Paul Getty. Typically of Ashcroft, however, he did not leave things there. His time as the party’s chief fundraiser, and his own experience in business, led him to form an acute critique of Tory organisation – particularly its internal communication and its allocation of resources – that, characteristically, he was unafraid to articulate publicly. But it was criticism of a more direct and personal kind which saw Ashcroft make perhaps his biggest mark on Conservative politics thus far. By the autumn of 2003 desperation among Tory MPs about Iain Duncan Smith, who had succeeded Hague as leader, was becoming acute. But it took a group of the party’s biggest donors to make it clear that he would have to go before his colleagues finally made their move. Ashcroft played a prominent part, telling the BBC that he and other donors could hardly be expected to carry on giving to “a gaggle of squabbling losers” but adding that the money would ﬂow again once “unity of purpose” was regained – something that that occurred almost immediately once Michael Howard was drafted in as a consensus candidate by Tory MPs after they suddenly mustered the courage to ditch Duncan Smith via a no-confidence vote. None of this meant that Ashcroft was impressed by what happened next. So unimpressed was he with the Conservatives’ formal target seats exercise that he set up a parallel operation of his own. And after the election he published (as Smell the Coffee) a research-driven analysis of the party’s 2005 defeat which – in line with the analysis of both Tory modernisers (some of whom had actually worked on The Times when it had gone after Ashcroft) and academics – argued that the party had to undertake a huge exercise in brand decontamination if it was to stand any chance of victory in the near future. However ironic it seems now in the light of their well-publicised estrangement, Ashcroft, then, played a huge part in persuading the Conservative Party that it should choose a change-candidate to succeed Howard and therefore in making the case for David Cameron. He also played a big part – this time from the inside and notwithstanding pre-election revelations about his non-domiciled tax status – in a well-funded target seats operation that may have helped Cameron to his narrow election win in 2010. By then, however, Ashcroft had decided that, rather than use his stupendous wealth to simply bankroll the Tories, he would instead make politics more interesting (and life more difficult for David Cameron and other party leaders) by commissioning huge amounts of superbly presented opinion research, supporting the influential (and marvellously well-informed) ConservativeHome website, and part-owning Biteback – now one of the country’s best known political publishers. So the noble Lord can well afford to sit back and relax. On past form, however, that’s unlikely. He has too many friends – and Cameron too many enemies and rivals – for the current brouhaha to do him much harm in the long-term. In any case, politics needs a bit of mischief-making now and then. From what we’ve seen so far, Call Me Dave would certainly seem to fit that particular bill. But it would also seem to have a deeply serious side. All in all, then, very Michael Ashcroft. This entry was posted in Uncategorized and tagged Conservative Party, David Cameron, Lord Ashcroft. Bookmark the permalink.